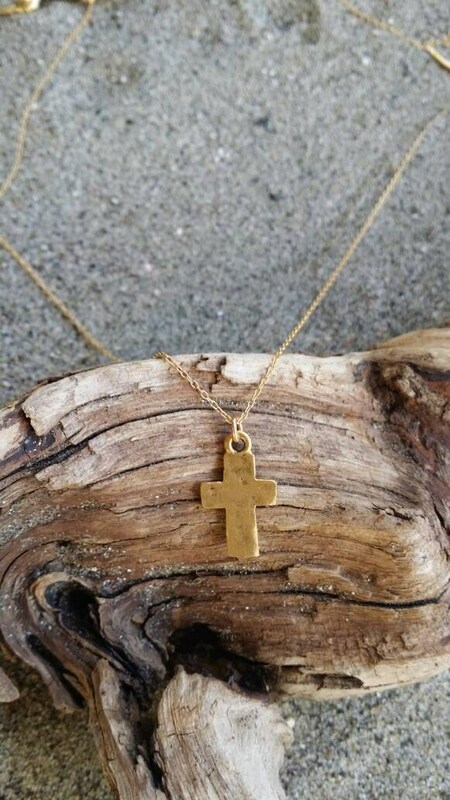 Rustic gold cross pendant necklace. The matte gold charm is 16 mm with a rustic hammered effect and an antiqued matte finish. 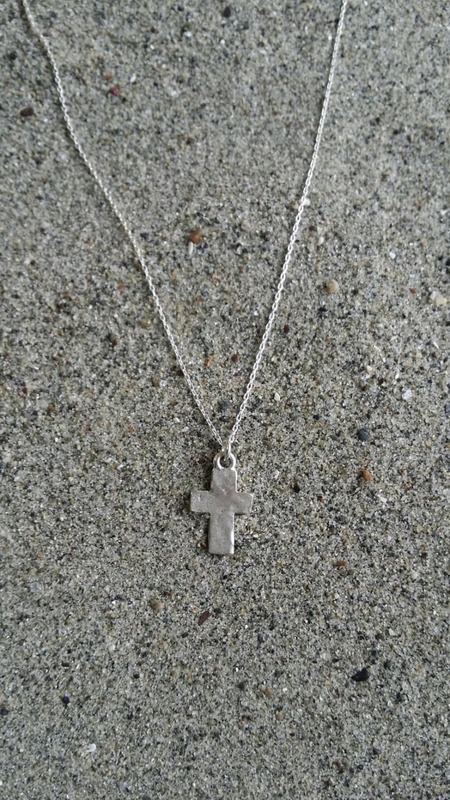 It is a perfect layering necklace! Shown here in 16" length. 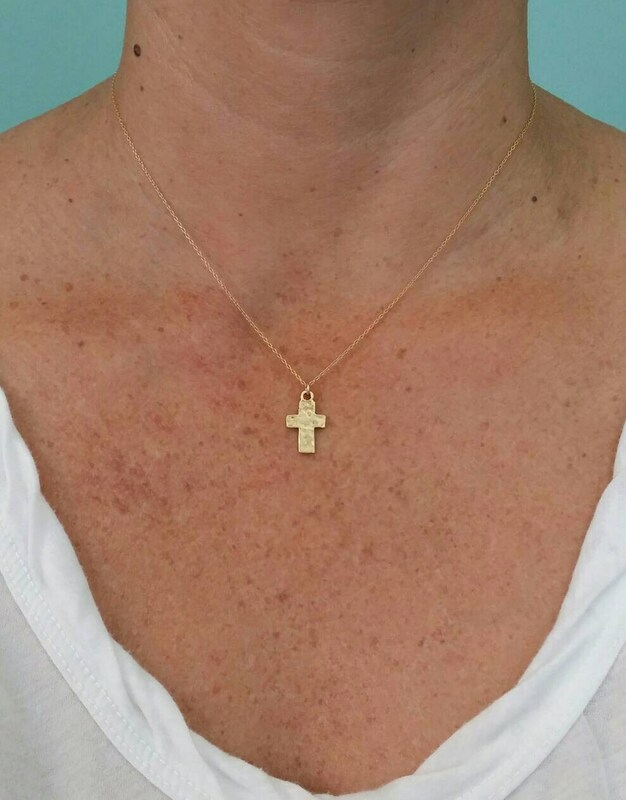 Beautiful and delicate; I wear this every day!